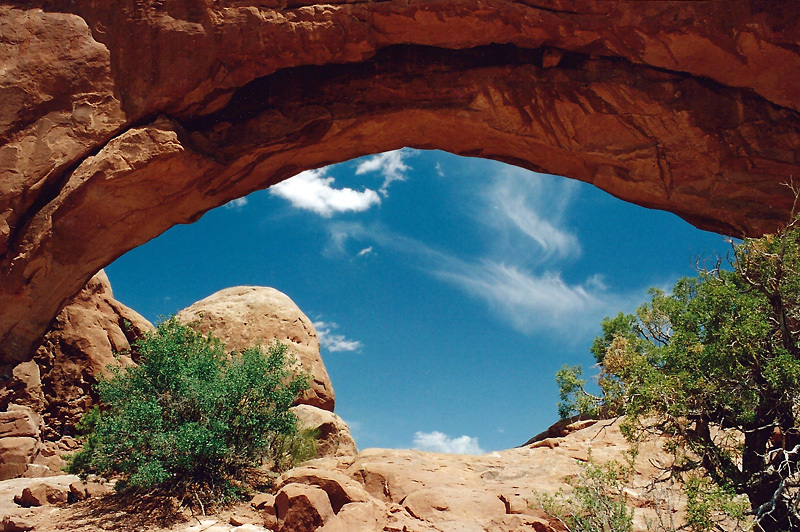 The Windows Section contains the greatest concentration of major arches in the park, all of them easily accessible from the parking area. North Window is shown here. 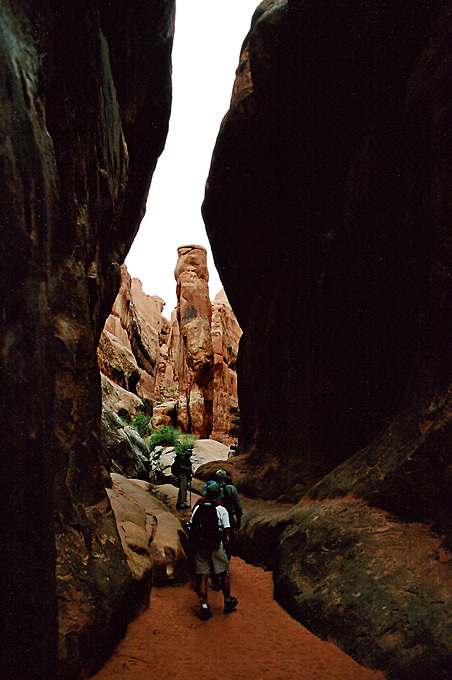 The ranger led hike through Fiery Furnace is highly recommended. It isn't for everybody since it contains a few tight squeezes and a bit of rock scrambling, but it goes at a slow enough pace to make it acceptable for most. 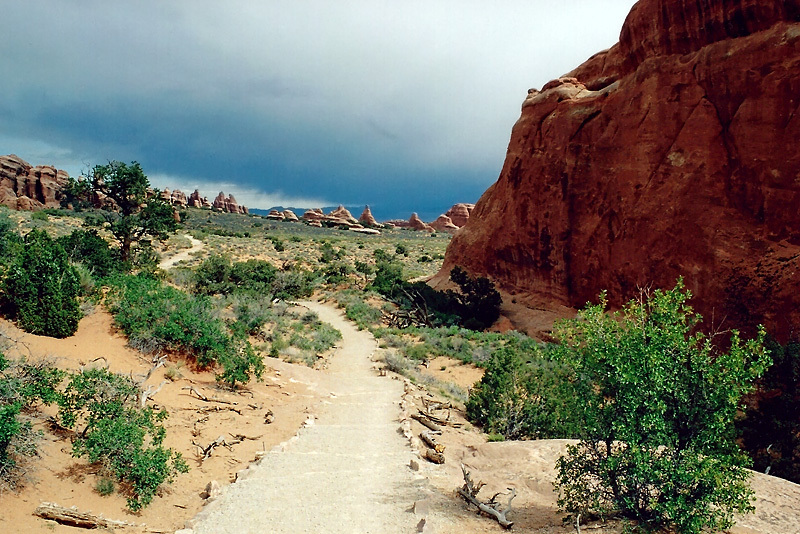 This picture of Devils Garden was taken as storm clouds were clearing. 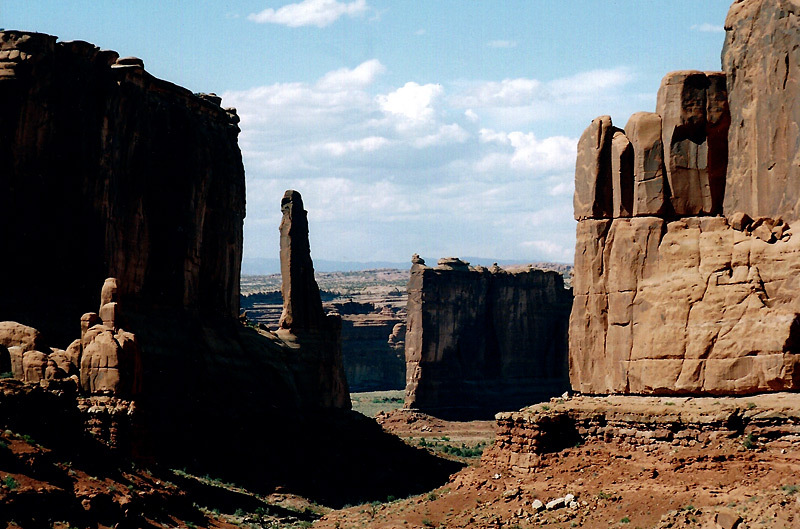 It's about half-way up the easy 1 mile walk (one-way) to Landscape Arch. The wonderful view through Partition Arch is about another 1/2 mile beyond Landscape Arch, with the trail getting a little more strenuous through some of that. You may extend the hike from here to Double O Arch, Dark Angel, and the Primitive Loop, but the trail does get a bit more difficult beyond this point. This view of Park Avenue is just a short walk from the parking lot and one of the first stops when you enter the park.